The foundations are less than 1m deep below grade, and they have no lateral capacity. Foundations with no lateral capacity include piles without lateral bracing support. 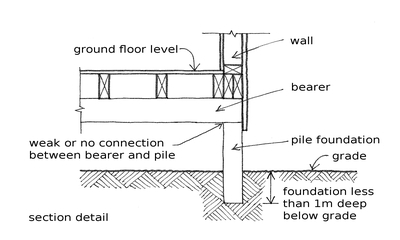 An example of a timber pile shallow foundation with no lateral capacity.